Stay hydrated and carry your favorite hot or cold beverages with you anywhere you go. From the yoga studio and hiking trails, to your car and office; it’s never been easier or more stylish to carry your drinks when using the YOGABODY® Sports Bottle. 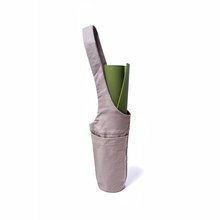 Here’s Why Yoga Students Love It: Keep it Hot / Keep it Cold: Super-insulated, stainless steel bottle keeps your tea or coffee warm for up to 6 hours and keeps your juice or iced beverages chilled for up to 12 hours. YOGABODY®| Practice is Everything Hot & Cold Sports Water Bottle, Purple Matte Finish (600 ml) has been added successfully to your wishlist. Stay hydrated and carry your favorite hot or cold beverages with you anywhere you go. From the yoga studio and hiking trails, to your car and office; it’s never been easier or more stylish to carry your drinks when using the YOGABODY® Sports Bottle. Keep it Hot / Keep it Cold: Super-insulated, stainless steel bottle keeps your tea or coffee warm for up to 6 hours and keeps your juice or iced beverages chilled for up to 12 hours. Perfect for Any Drink: Great for tea, coffee, water, juice, protein mixes, sports drinks, and any other beverage you might want to carry with you. 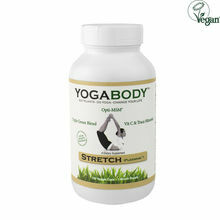 Hot, cold, whatever you like; the YOGABODY bottle works great. Perfect Size & Shape Bottle: This 600ml bottle is slim and sleek. It fits into most cup holders (cars) and water bottle holders (bikes). It has a comfy hand size so you can walk and carry it easily. Unlike massive thermal bottles that won’t fit in a purse or gym bag, this bottle is big enough to carry plenty of your favorite drinks, but small and sleek enough to take to the office. Eco-Friendly, BPA & Toxin-Free: Stainless steel design means no harmful plastic bottles and no dangerous aluminum. The cap is made with ultra-hard, heat-resistant, and BPA-free plastic. Drink with confidence, this is an eco-friendly bottle. There are currently no reviews for YOGABODY®| Practice is Everything Hot & Cold Sports Water Bottle, Purple Matte Finish (600 ml), but you can be the first!